In acute ischemic stroke, critical hypoperfusion is a frequent cause of hypoxic tissue injury: As cerebral blood flow (CBF) falls below the ischemic threshold of 20 mL/100 mL/min, neurological symptoms develop and hypoxic tissue injury evolves within minutes or hours unless the oxygen supply is restored. But is ischemia the only hemodynamic source of hypoxic tissue injury? Reanalyses of the equations we traditionally use to describe the relation between CBF and tissue oxygenation suggest that capillary flow patterns are crucial for the efficient extraction of oxygen: without close capillary flow control, “functional shunts” tend to form and some of the blood’s oxygen content in effect becomes inaccessible to tissue. This phenomenon raises several questions: Are there in fact two hemodynamic causes of tissue hypoxia: Limited blood supply (ischemia) and limited oxygen extraction due to capillary dysfunction? If so, how do we distinguish the two, experimentally and in patients? Do flow-metabolism coupling mechanisms adjust CBF to optimize tissue oxygenation when capillary dysfunction impairs oxygen extraction downstream? Cardiovascular risk factors such as age, hypertension, diabetes, hypercholesterolemia, and smoking increase the risk of both stroke and dementia. The capillary dysfunction phenomenon therefore forces us to consider whether changes in capillary morphology or blood rheology may play a role in the etiology of some stroke subtypes and in Alzheimer’s disease. Here, we discuss whether certain disease characteristics suggest capillary dysfunction rather than primary flow-limiting vascular pathology and how capillary dysfunction may be imaged and managed. Traditionally, physiology textbooks use the extraction properties of single capillaries to arrive at the relation between tissue blood flow and tissue oxygenation . Broadly stated, this flow-oxygenation relation assumes that (1) Brain parenchyma receives sufficient oxygen to support its functions if cerebral blood flow (CBF) remains above a certain threshold, extracting oxygen according to its needs. (2) Brain parenchyma receives more oxygen if the CBF increases. These properties form the rationale when we examine patients to identify hemodynamic causes of their symptoms: In patients suspected of stenoocclusive disease, we use ultrasonic and angiographic techniques to examine whether the patency of vessels in the head and neck may limit the brain’s blood supply, and CBF-sensitive methods to test whether vasodilators augment CBF, indicating that the vascular system holds a certain reserve capacity to support brain activity . At a more conceptual level, we test the flow-oxygenation relation to identify and define “vascular” diseases. In Alzheimer’s disease (AD), for example, CBF decreases in the years before symptoms develop [3, 4], but not to a critical level. AD is therefore classified as a “neurodegenerative” disorder and ascribed to the presence of neurotoxic amyloid and tau species in brain parenchyma . However, it remains unexplained why AD is more prevalent in patients with cardiovascular risk factors [6, 7]. In this review, we explain why the flow-oxygenation relation in textbooks is unlikely to be valid in brain tissue [8, 9••], and why the way we apply it in medical research and clinical practice may no longer hold if capillary flow patterns become disturbed [9••, 10]. We then discuss how this finding may affect our approach to diagnose and study stroke and dementias, and our understanding of the etiology of these diseases. Textbook physiology assumes that all tissue capillaries have identical extraction properties . In fact, capillary flow velocities are highly heterogeneous in a normal, resting brain [11, 12, 13]. This phenomenon can result in “functional shunting” of oxygen, glucose, and other diffusible substances through brain parenchyma: that is, their extraction becomes less efficient as capillary flows become more heterogeneous [9••, 14]. In fact, capillary flow velocities become more homogenous when brain activation causes focal hyperemia [11, 13, 15, 16], and this facilitates more efficient oxygen extraction [9••]. This homogenization is an intrinsic property of microvascular networks [17•] and seemingly ensures efficient oxygen extraction across a range of blood flows and metabolic needs in both the heart and brain [8, 9••, 18•]. What Determines Capillary Flow Patterns? Different cell types, structures, and biophysical quantities affect capillary blood flow patterns. Endothelial cells are electrically and metabolically coupled to each other and to nearby vascular smooth muscle cells (VSMC) via gap junctions composed of connexins . This signaling pathway is rapid and bidirectional, and seemingly coordinates the distribution of flows across the microvascular bed . Importantly, disruption of this pathway causes extreme degrees of capillary shunting through the shortest arteriolo-venular pathways . Pericytes are contractile cells embedded in the basement membrane that surrounds the capillary endothelium . Pericytes dilate during functional activation and control changes in both CBF and in capillary flow patterns [23••]. Pericytes and endothelial cells jointly form and maintain the basement membrane . The dimensions of white blood cells and erythrocytes exceed the average capillary diameter. Local variations in basement membrane thickness, and in the shape of the cylinder it forms, are therefore likely to affect the passage of blood cells through individual capillaries. Meanwhile, the capillary endothelium’s luminal surface is covered by a 0.5-μm-thick glycocalyx . This carbohydrate-rich matrix affects the passage of blood cells through the capillary bed , and glycocalyx damage is known to disrupt capillary flow regulation . Blood rheology is also an important determinant of capillary flow patterns: Experimental studies have shown that the size, deformability, number, and endothelial adhesion of blood cells affect capillary flow patterns: in infections and low-grade vascular inflammation, blood is increasingly redirected to thoroughfare channels which act as functional shunts . Capillary dysfunction denotes the failure of capillary flows to homogenize during episodes of increased blood flow [28•]. Table 1 lists a number of factors that would be expected to affect capillary flow patterns in relation to stroke, dementias, and their risk factors (see also [28•, 49•]). The critical feature of capillary dysfunction is not only the limited flow through “narrow” or “constricted” capillaries. Such capillary “micro-ischemia” is to some extent compensated by higher extraction of oxygen from the blood traveling at low velocities through the microvasculature though widespread capillary narrowing may cause ischemia or “no reflow” [50•]. For erythrocytes that pass through capillaries at high velocity, however, oxygen extraction efficacy can become negligible. In cases of deficient capillary control, blood flow increases induced by brain activation or hypercapnia tend to increase “functional shunting” through the capillary bed along such paths. In fact, our analysis shows that uncontrolled hyperemia can be accompanied by a paradoxical reduction in tissue oxygenation [9••, 18•], a phenomenon akin to the so-called luxury perfusion syndrome sometimes observed after reperfusion of ischemic tissue . To quantify the effects of capillary dysfunction on tissue oxygenation, the distribution of capillary flows or capillary transit times through the capillary bed must be known [9••, 17•, 18•, 52]. The mean values of these distributions are “macroscopic” parameters, namely CBF and mean transit time (MTT), respectively. It is the microscopic variation of flow velocities or capillary transit times relative to these mean values that may cause capillary dysfunction. Below, we describe the phenomenon in terms of capillary transit time heterogeneity (CTH), but note that the phenomenon can be described in terms of flow heterogeneity as well [10, 17•, 52]. MTT is proportional to the capillary blood volume (CBV) and related to CBF through the central volume theorem: MTT = CBV/CBF . When calculating the oxygen extraction efficacy for different transit time distributions, we use realistic distributions of capillary transit times that can be characterized by two parameters [9••, 17•, 18•]. This permits us to describe blood flow in terms of MTT while the standard deviation of capillary transit times serves as a measure of CTH. In idealized capillary networks, CTH and MTT co-vary so that their ratio, the transit time coefficient of variation (CoV), tends to remain constant [17•]. When considering whether certain hemodynamic conditions reflect capillary dysfunction, both CTH and MTT should therefore be taken into account. Our model suggests that biophysically, the degree of “functional shunting” becomes critical as the standard deviation of capillary transit times (CTH) exceeds the mean (MTT) [9••, 18•]. The magnitude of CoV may therefore serve as one way to characterize capillary dysfunction. Neurovascular coupling mechanisms adjust CBF according to the metabolic needs of tissue . As extraction efficacy worsens with increasing capillary dysfunction, these mechanisms would therefore be expected to adjust both resting CBF and CBF responses accordingly. If capillary flow patterns are only slightly disturbed, such that their homogenization is only slightly affected during hyperemia, we expect that the accompanying reduction in oxygen extraction efficacy can be overcome by increasing CBF responses slightly—keeping in mind that oxygen delivery is the product of CBF and the oxygen extraction fraction (OEF). Unlike conditions that limit arteriolar diameter and thereby CBF, mild capillary dysfunction is therefore predicted to elicit hyperemia in preclinical disease. Early resting hyperemia and exaggerated CBF responses to functional activation are indeed observed in stroke and dementia risk factors: In streptozotocin-induced diabetes in rats, CBF is elevated compared to control animals early after induction of the disease [55, 56, 57]. In early-stage hypertension, CBF and BOLD responses1 to hypercapnia are elevated compared to control animals . In asymptomatic carriers of the APOE ε4 AD risk gene aged 19–28, both resting and activity-related CBF levels are elevated [59, 60]. Similarly, BOLD signal changes during memory encoding tasks are elevated in asymptomatic APOE ε4 carries [61, 62, 63]. As capillary dysfunction becomes more severe, our analysis shows that the metabolic needs of brain tissue can only be met by limiting flow responses and, ultimately, resting CBF. In this way, the functional shunting of oxygenated blood through capillaries with fast flow velocities is reduced and more oxygen is thereby accessible for tissue metabolism. Interestingly, this transition, from hyper- to hypoperfusion, was in fact observed in a long-term follow-up study of asymptomatic APOE ε4 carriers and controls . We speculate that intrinsic mechanisms attenuate CBF to limit “functional shunting” and improve net oxygen extraction in capillary dysfunction. In fact, our analyses show that if CTH increases to the highest value for which the metabolic needs of resting brain tissue can be met, CTHmax, then the corresponding, “optimal” CBF value is close to the “classical’ ischemic threshold of 20 mL/100 mL/min [49•]. The CBF threshold at which stroke-like symptoms occur in other words applies to flow-limiting conditions as well as capillary dysfunction. The crucial difference lies in the prediction that the low CBF in capillary dysfunction is the result of flow-metabolism coupling rather than a thromboembolic event or other flow-limiting conditions. Also, attempts to “normalize” CBF in severe capillary dysfunction are, paradoxically, predicted to result in hypoxic injury due to excessive functional shunting. The tendency of CTH to increase passively with low CBF on one hand, and the claim that flow-metabolism coupling dictates CBF to be lower in severe capillary dysfunction on the other, makes it difficult to determine whether capillary dysfunction or a flow-limiting condition is the primary culprit in a specific disease condition: Abnormal CBF and CTH values would be expected in either case. To make matters worse, the attenuation of CBF responses in hypertension and cerebral amyloidosis seemingly involves nitric oxide (NO) depletion through reactions with reactive oxygen species (ROS) [65, 66], which leads to VSMC remodeling and vascular narrowing over time . The characteristic cerebral small-vessel disease (SVD) changes in arterioles and small arteries observed in the risk factors listed in Table 1 may therefore be secondary to the capillary changes downstream. Above, we discussed how presymptomatic hyperemia is consistent with early capillary dysfunction, but difficult to reconcile with an evolving, flow-limiting condition. Similarly, neurological deterioration or hypoxic tissue injury at high CBF is inconsistent with ischemia but could be related to excessive (uncompensated) functional shunting. For example, obstructive sleep apnea (OSA) is associated with periods of severe nocturnal hypercapnia and hypoxemia, both of which cause dramatic increases in CBF in the normal brain. In addition, reductions in oxygen saturation cause a proportionate reduction in tissue oxygenation, increasing the risk of neurological symptoms or tissue injury if net oxygen extraction is already impaired. We propose that the risk, which hyperemia poses to patients who suffer from capillary dysfunction, partly explains the obervation that continuous positive airway pressure (CPAP) treatment of OSA patients reduces their incidence of both fatal and nonfatal strokes . Fabry’s disease and mitochondrial encephalopathy with lactic acidosis and stroke-like episodes (MELAS) are both cerebral small-vessel diseases with a high risk of stroke and cognitive decline . The tissue injury mechanism has been studied in Fabry’s disease, where hyperemia seemingly antedates the development of white matter lesions . This has also been observed in MELAS . Another characteristic of capillary dysfunction is that increases in blood viscosity may cause neurological deterioration or tissue injury in patients with pre-existing, severe capillary dysfunction, that is, tissue regions with CTH close to CTHmax. Infections increase blood viscosity and would therefore be expected to carry a high risk of neurological deterioration and hypoxic tissue injury in patients severely affected by the risk factors listed in Table 1, particularly if infections also impair arterial oxygen saturation. We speculate that the reduction in stroke deaths observed when influenza vaccinations are offered to the elderly to avoid secondary infections [72, 73, 74] may reflect the prevention of further capillary dysfunction, and hence stroke risk. Cardiovascular risk factors also affect the microcirculation of organs outside the brain, including the heart and kidneys. We speculate that acute exacerbation of severe systemic capillary dysfunction may contribute to the simultaneous occurrence of myocardial damage in acute stroke patients and to the poor prognosis of these patients [75, 76]. In patients with ischemic stroke, perfusion-weighted imaging (PWI) is occasionally performed in order to identify focal cerebral hypoperfusion. PWI utilizes dynamic computerized tomography (CT) or magnetic resonance (MR) images acquired after intravenous bolus injection of intravascular contrast agents that distribute in plasma . Using the concentration-time curve (CTC) derived from arterial voxels identified within the imaging slices, tissue perfusion can be characterized by adjusting each imaging voxel’s CTC for the shape of the arterial CTC in individual patients—so-called deconvolution . In recent years, the mean vascular transit time derived from this deconvolved CTC, as well as its delay (referred to as T max) [79, 80], have been proposed as biomarkers when deciding on intravenous thrombolysis and endovascular therapy. CTH and MTT are variables of the transit time distributions which we use when modeling oxygen extraction in tissue. When convolved with the arterial CTC we measure with PWI , these distributions also predict the retention of tracer in tissue . We can therefore determine CTH and MTT in each voxel based on our PWI data [83••] and then create maps of the corresponding oxygen extraction efficacy, OEFmax, based on our oxygen extraction models [9••, 17•, 18•]. The method has certain limitations: First, we cannot measure oxygen metabolism by PWI, so we measure OEFmax—not “true” oxygen extraction fraction (OEF). Second, iodinated CT contrast agents, and the Gadolinium chelates used for diagnostic magnetic resonance imaging (MRI), all distribute in plasma, whereas oxygen transport is determined by the hemodynamics of erythrocytes. In a normal brain, plasma and erythrocyte flows show comparable heterogeneities , but in disease, hindered erythrocyte passage through some capillaries may cause the distribution of plasma tracers to deviate from that of blood cells. Third, PWI image voxels typically contain several cubic millimeters of tissue, and their CTCs therefore reflect the retention of tracer in small arteries and veins, as well as tens of millions of capillary paths. The approach therefore has to assume that the underlying hemodynamics are dominated by uniformly affected capillary flow changes. In preclinical research, two-photon microscopy (TPM) can be combined with fluorescent dye injections to obtain transit time characteristics across individual microvessels in animal models [13, 85]. By comparing CTCs from arterial and venous microvessels, CTH and MTT for their connecting microvascular bed can be derived by analyses analogous to those applied to PWI data (see Fig. 1a). Meanwhile, TPM can be combined with oxygen-sensitive dyes to provide estimates of oxygen tension in tissue and blood  and thereby comprehensive characterization of oxygen transport in resting and activated brain tissue . Recently, optical coherence tomography methods have also been refined to measure erythrocyte velocities in brain tissue . This approach overcomes the problem of relying on plasma dynamics to characterize cerebral hemodynamics. 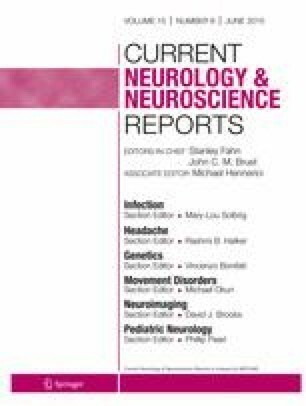 It seems clear that capillary flow heterogeneity can act to lower the availability of oxygen to levels below the metabolic needs of brain tissue—and thereby be the cause of compromised neuronal function and, ultimately, neuronal loss. But what are the pathways that lead from severe capillary dysfunction to radically different disease phenotypes such as AD, vascular dementia, and acute stroke, if any? Most AD risk factors are associated with changes in capillary morphology or function (see Table 1 and ref. [28•]). The degree of capillary dysfunction is the cumulative effect across all risk factors (including age) on capillary morphology and function. We speculate that the resulting, gradual increase in CTH over time may contribute to AD pathology by causing a gradual reduction in tissue oxygen tension. Hypoxia, in turn, activates inflammatory pathways  and directly stimulates AD-like pathology by increasing the formation of neurofibrillary tau tangles and amyloid-β (Aβ) plaques as well as by reducing the clearance of Aβ across the blood-brain barrier (BBB) [91, 92]. Figure 1b shows cortical areas in which CoV, a measure of capillary flow heterogeneity, correlates with the mini-mental state examination (MMSE) scores of 16 patients with clinically suspected possible or probable AD. We examined CoV in order to reduce the influence of low CBF (high MTT) on microvascular hemodynamics and noted an inverse correlation between MMSE and CoV in the temporoparietal cortex, the cingulate, and the precuneus. AD patients typically show reduced glucose metabolism, as measured by fluorodeoxyglucose PET, and cortical thinning, measured with volumetric MRI, in these regions. Our preliminary results therefore suggest an association between capillary dysfunction and AD and that abnormal microvascular retention of tracer in these areas cannot be explained by low CBF alone or by cortical partial volume effects. Unlike Alzheimer’s disease, vascular dementia and SVD are characterized by focal lesions in the form of small subcortical infarcts, lacunes, and white matter hyperintensities . Peroxynitrite, the main reaction product of NO and ROS, inactivates tissue plasminogen activator (tPA) . The oxidative stress and NO depletion, which seemingly coincide with flow suppression and hypoxia in capillary dysfunction, therefore creates an environment highly conducive to local microthrombosis. Low capillary tPA levels have thus been observed in diabetes stroke models . Cerebral edema forms in severe hypoxia, and we speculate local capillary compression may provide a mechanism by which neuronal injury and edema can spread once established. Further studies of tissue microstructure and capillary hemodynamics in and around SVD lesions are needed to better understand the mechanisms that give rise to these lesions. When we model acute stroke in rodents, vascular occlusion is used as a means to reduce regional CBF by 60–90 % to inflict hypoxic tissue injury. This approach does not account for, perhaps the most important property of the capillary dysfunction phenomenon, namely the gradual accumulation of microvascular changes listed in Table 1. These evolve over several decades in patients who may ultimately suffer an acute stroke. Capillary dysfunction is also predicted to markedly reduce cerebrovascular reserve capacity—not only due to large vessel disease but also by flow-metabolism coupling that suppresses vasodilation to prevent excessive functional shunting. As a result, these patients are predicted to be extremely vulnerable to infections, to small reductions in blood pressure, and perhaps even to small emboli that reduce local perfusion only slightly and temporarily. Rather than the “before” and “after” scenario of animal stroke models, we may therefore need to consider stroke as a condition that in some patients develop over many years in much the same way as AD—only to culminate in an acute manner. Many strokes are clearly caused by thromboembolic events. In these cases, the capillary dysfunction phenomenon may become important in relation to recanalization therapy. Ischemia is known to cause pericyte constrictions that fail to reverse after reperfusion [23••, 50•, 96]. As sudden normalization of CBF without parallel normalization of CTH is predicted to cause severe “functional shunting” and tissue hypoxia, a means of restoring capillary flow patterns may be as important as restoring overall CBF. We discuss these effects in relation to pre-stroke risk factors and the poor prognosis of tissue that displays post-recanalization hyperperfusion in [49•], and the specific issues relating to delayed cerebral ischemia after hemorrhagic stroke in [97•]. Figure 1c shows CTH, MTT, and CoV maps in an acute stroke patient and the model’s prediction of OEFmax. Hypoperfusion can be identified as areas of elevated MTT values (yellow to orange colors). The most severe hypoperfusion can be identified as the area of reduced apparent diffusion coefficient (ADC), which is thought to reflect acute ischemic injury and cytotoxic edema. The red outline indicates the infarct volume 20 days later, in this case revealing little expansion of the acute lesion. Note that an area of low CoV can be observed within the severely ischemic tissue. The origin of this “relative homogenization,” and whether it reflects the dynamics of blood or mostly plasma, remains unclear. We have previously found that areas with relative flow homogenization are highly prone to subsequent infarction [10, 98, 99]. Note the areas of elevated CoV and OEFmax, both within and outside the severely hypoperfused tissue region. White matter hyperintensities, visible as bright areas posterior to the ventricles on acute ADC maps (suggestive of extracellular edema), and on follow-up FLAIR seem to be located in areas of elevated COV and OEFmax, suggesting an association between capillary dysfunction and these SVD lesions. Further studies are needed to fully understand how macrovascular (as measured by MTT) and microvascular (as measured by CTH) hemodynamics contribute to infarct progression and to ascertain whether capillary dysfunction contributes to certain lesion types, to certain clinical presentations, such as transitory ischemic attacks (TIA), or to progressive cognitive decline before the acute stroke occurs. In patients suspected of cerebrovascular disease, the patency of carotid and intracranial vessels are often examined by ultrasound or by angiographic techniques. Vascular occlusions or high-grade vascular stenoses may cause critical reductions in CBF, and in patients who reveal such vascular changes, cerebrovascular and metabolic reserve capacity is often measured to examine their severity. It is generally assumed that blood flow is “mechanically” limited by such occlusions and that the presence of macroscopic increased oxygen extraction fraction (OEF), a classical marker of misery perfusion, is a certain sign of ischemia. The capillary dysfunction is also expected to attenuate CBF and to result in elevated OEF at a microscopic level, however, and this prediction may have profound diagnostic and therapeutic implications in patients with cerebrovascular disease. Figure 1d shows OEF maps from two slice positions in a patient with carotid stenosis. They were acquired by PET and O-15-labeled water and oxygen administration. Using our model [9••], we also estimated OEFmax based on maps of CTH and MTT [83••]. If the patient’s elevated OEF could be explained by restricted blood supply alone, we would expect OEF to correlate with MTT. If capillary dysfunction also affects OEF, however, we would expect the OEFmax model that takes CTH into account, to better explain actual OEF levels. The graphs to the right show the correlations between “true” OEF on one hand and MTT and OEFmax, respectively, on the other. The points represent entire hemisphere values ipsilateral (red) and contralateral (green) to the stenosis in 11 slices of two carotid stenosis patients. As in the acute stroke case above, it appears that both capillary dysfunction and ischemia affect brain oxygenation and that the presence of elevated OEF cannot distinguish between the two mechanisms. The identification of those symptomatic carotid stenosis patients who are likely to benefit from revascularization therapy based on findings of impaired cerebrovascular reserve capacity and elevated OEF has yielded mixed results . We propose that quantification of concomitant capillary dysfunction could help predict the relative benefits of revascularization therapy and aggressive management of cardiovascular risk factors, of which the latter is more likely to affect the degree of capillary dysfunction. We discuss the therapeutic and diagnostic implications of capillary dysfunction in stroke and dementia further in [28•, 49•, 97•]. The effect of capillary flow patterns on oxygen extraction efficacy implies that tissue oxygenation can be reduced both as a result of limited blood supply (ischemia) and as a result of impaired oxygen extraction due to capillary dysfunction. Flow-metabolism coupling may make these phenomena difficult to distinguish, but certain disease features, such as presymptomatic hyperemia and early capillary involvement on one hand and symptoms modulated by blood rheology on the other, may suggest mild and severe capillary dysfunction, respectively. Methods to detect capillary dysfunction are currently being developed, and our preliminary findings suggest that capillary dysfunction may play a role in both cerebrovascular disease and AD. Further studies should elucidate whether capillary dysfunction represents a useful diagnostic entity or a target for prevention and therapy in these conditions. The blood oxygen level-dependent (BOLD) magnetic resonance imaging (MRI) signal decreases as a function of the local tissue deoxyhemoglobin concentration. Lower OEF and higher CBF both reduce deoxyhemoglobin levels. Compared to tissue where capillary flow patterns homogenize normally during a certain stimulus, BOLD response amplitudes are therefore elevated in tissue with slight capillary dysfunction during hyperemia, if metabolic needs are met by larger CBF responses. This study was supported by the Danish National Research Foundation (CFIN; LØ, SNJ, MA, KM), the Danish Ministry of Science, Innovation, and Education (MINDLab; LØ, SNJ, EGJ, SFE, KM), and the VELUX Foundation (ARCADIA; LØ, SNJ, EGJ). The authors wish to thank Drs. Grethe Andersen, Mark J. West, Morten S. Jensen, Hans Brændgaard, Carsten Gyldensted, Peter M. Rasmussen, Peter Parbo, Rasmus Aamand, Rikke B. Dalby, Louise Gyldensted, Hugo Angleys, Irene K. Mikkelsen, Lars R. Ribe, and Rune B. Nielsen for providing patients, data analysis, and ideas to this work. Thorbjørn Engedahl, Eugenio Gutiérrez Jiménez, and Mahmoud Ashkanian declare that they have no conflict of interest. Leif Østergaard owns a patent related to the methods used in papers from 2000, 2002, and 2005, which we reference in the paper. My institution has submitted grant applications relating to the method in ref. [83••] Dr. Østergaard has also received the Danish Ministry of Higher Education and Sciences University Investment Grant, a grant from the Danish National Research Foundation, and a grant from VELUX Foundation. Sune Nørhøj Jespersen owns patents in an ultrasonic system for assessing tissue substance extraction (PCT/DK2012/050101) and a system for assessing tissue substance extraction (PCT/DK2012/050102). Mikkel Bo Hansen owns a stock in COMBAT Stroke. Simon Eskildsen has received a grant from MINDLab UNIK (grant number 09-065250). Kim Mouridsen owns a stock in COMBAT Stroke. Patient studies were conducted in accordance with the Helsinki Declaration and data acquired after informed consent as part of projects approved by appropriate regional Ethics Committees. Animal studies were conducted within the regulations set by the Danish Ministry of Justice and Animal Protection Committees, with the Danish Animal Experiments Inspectorate Permit 2012-15-2934-00231.